Yes, that’s right! Another province has joined the Old Manolis and the Sea movement, this time (yarn) storming the political centre of the country! 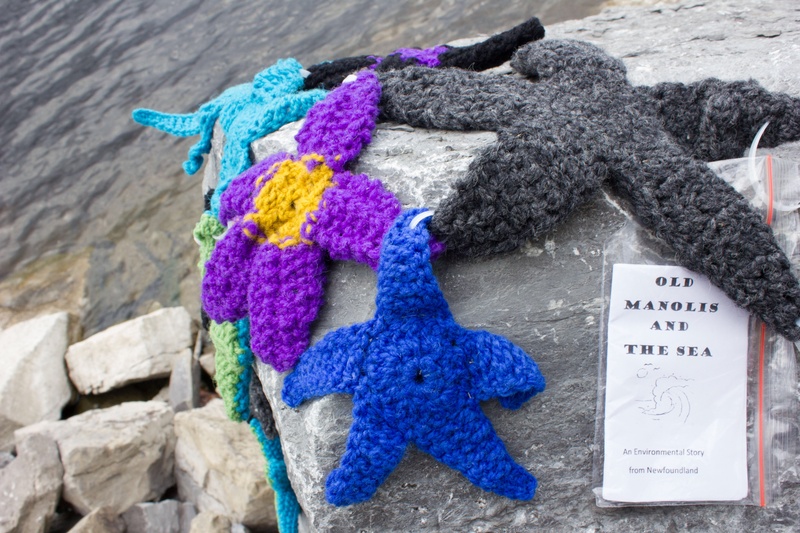 These starfish appeared in mid August on the shores of the Ottawa River just down river from the Library of Parliament (where one could read up on discussions pertaining to the Manolis L) and a yarn-ball throw from the National Gallery, Parliament and the Supreme Court. A very warm welcome and kind thanks is extended to Yarnstorm Trooper for their sneaky work! The ‘Rock Vandals’ are a gang of knitters. Together, they knit the town red. Otherwise, 'The Rock Vandal' flies solo and gets up to all sorts of crafty adventures.